According to current projections, there will be a shortage of more than 200,000 information and communications technology (ICT) workers in Canada by 2020. These figures, published in the 2016 ICTC Digital Talent Strategy Report, paint a grim picture of our not-too-distant economic future. Left unaddressed, this looming skills mismatch will have far-reaching consequences for Canada. Given the lack of computer science education in Niagara, our community is especially at risk for not being ready for a changing Canada. Read more here. 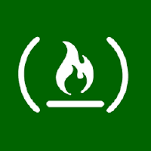 freeCodeCamp is an open source community that helps you learn to code. You can work through our self-paced coding challenges, build projects, and earn certificates. They also connect you with people in your city so you can code together. If you want to see what coding is all about or even want to try your hand at some coding independently, check out freeCodeCamp's resources here. TechCrunch is an online publisher of technology industry news. It primarily covers businesses ranging from startups to established firms. It's your one-stop shop for all things tech! Check out the top tech stories here!